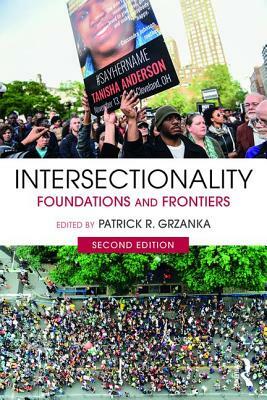 Intersectionality: Foundations and Frontiers is an accessible, primary source-driven exploration of intersectionality in sociology, psychology, women's and gender studies, and related fields. The book maps the origins of the concept, particularly in Black feminist thought, opens the discourse to challenges and applications across disciplines and outside academia, and explores the leading edges of scholarship to reveal important new directions for inquiry and activism. Charting the development of intersectionality as an intellectual and political movement, Patrick R. Grzanka brings together in one text both foundational readings and emerging classics. The completely revised and expanded second edition includes 17 new readings, including an original essay by Lisa Bowleg on the urgency of intersectionality in contemporary politics. Patrick R. Grzanka is an assistant professor of psychology at the University of Tennessee, Knoxville. His interdisciplinary research has been supported by funding from the National Science Foundation and the Society for the Psychological Study of Social Issues, and his work has appeared in a wide range of journals, including the Journal of Counseling Psychology, Sexuality Research and Social Policy, Symbolic Interaction, American Journal of Bioethics, and WSQ: Women's Studies Quarterly.